On Monday, 30 water experts from academia, policy, NGO’s and third stream organisations as well as business gathered at the Centre for Ecology and Hydrology in Wallingford to share knowledge how partnership approaches can lead to better management of our natural capital in water ecosystems. The aim of this NCI Dialogue entitled ‘Natural capital without boundaries: integrating the management of catchments, coast and the sea through partnerships’ was to identify key priorities for future actions and how these may be achieved. 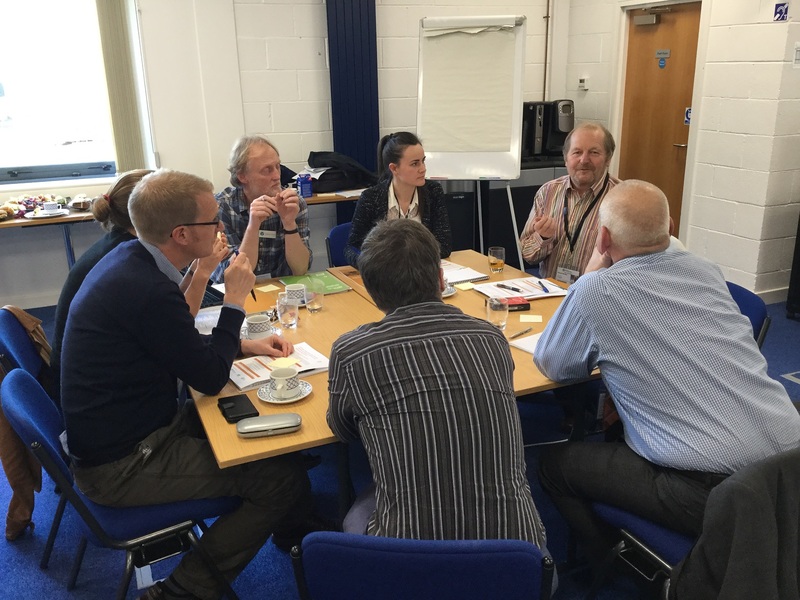 Hosts Prof Mike Acreman (NCI Steering Group, CEH) and Prof Ed Maltby (NCI Steering Group, University of Liverpool) introduced natural capital as a framework for partnership working. Ed Maltby explained that the traditional science approach with research focusing on distinct ecosystems such bogs, floodplains, etc and their functioning was being replaced by a research focussing on what they provide for human benefit. However, water in the landscape is interconnected and we still don’t know much about the connectivity of these systems. At the same time, partnerships have become the new norm in water management, but they are not always working due to for example policy or organisational restrictions. In the following key note, Paul Bryson (Environment Agency) explained that, from a practical implementation perspective, the catchment based approach had rapidly developed and proven to be a highly beneficial process since its introduction in 2013. However, problems remain and he emphasised that good practices needed to be distributed. At the same time he emphasised that a flexible approach is needed – no size fits all. Lewis Jones (South West Water) provided insights into private sector experiences of partnership working. He said that some partnerships were really effective, some are struggling for a variety of reasons. Funding limits what partnerships can do, and funding is always limited.Third sector led initiatives are generally well respected and enjoy a positive public profile. Alistair Maltby explained that catchment partnerships now have national coverage, and that national support and mentoring has worked well in implementing them. However, there is still work to be done in strengthening knowledge and reaching broader representation at the local level. Unlike in river basins, costal and open sea partnerships do not have statutory footing, but both Caroline Salthouse (Coastal Partnerships Network) and Natasha Barker Bradshaw (WWF UK) pointed out that many of these voluntary partnerships have worked successfully, some over many years albeit struggling with insecure funding. The key notes stimulated a lively debate on key issues and needs for future integration. While natural capital was generally seen as a useful framework, Ashley Holt argued that it would be one of a set of tools for effective risk management. Coastal partnerships currently work very successfully without explicitly referring to natural capital, explained Caroline Salthouse, and Alistair Maltby added that local initiatives focus on delivery and framed issues in different ways in order to secure funding. Natasha Barker Bradshaw explained that the multitude of policy drivers in coastal environments makes them complex to manage and that partnerships were effective because they could work across these. Lewis Jones stated that language is complicated when working with local people, whether this was natural capital, ecosystem services or similar. On the other hand, Paul Bryson explained that the natural capital terminology helps to draw in some audiences such as Local Enterprise Partnerships. In terms of managing natural capital across boundaries, it was discussed that engagement is most useful when done around the problems of local people. If these issues have relevance across boundaries, implications would need to be explained in ways people understand them. Identifying the appropriate scale as well as the interfaces between catchments, coasts and sea will be an important step for integration which might be best done by existing partnerships. It was also noted that our current democratic structure does not reflect the ecosystem approach, a real disconnect that will effect management. After lunch, participants identified opportunities and mechanisms for achieving integration of natural capital across boundaries. Four groups addressed the benefits as well as the draw-backs and limitations of working across boundaries. They also identified obstacles and who and what needs to change. Participants thought that the benefits of working in partnership are widely recognised but in some cases success was limited by a range of factors including a lack of security in funding, evidence or staff skills. Ideas to overcome current constraints were firm leadership on natural capital from government, a coherent strategy which would include a broad range of policy sectors, identifying clear roles and responsibilities of all players involved, as well as using suitable terminology for different audiences. Secure, long term funding for conveners and coordinators of partnership fora was also mentioned as an important factor in partnership success. In the final discussion, participants identified priorities for future action. Suggestions included preparing targeted briefing paper as well as holding meetings for different groups that should be engaged with natural capital management across boundaries, such as businesses and policy makers. 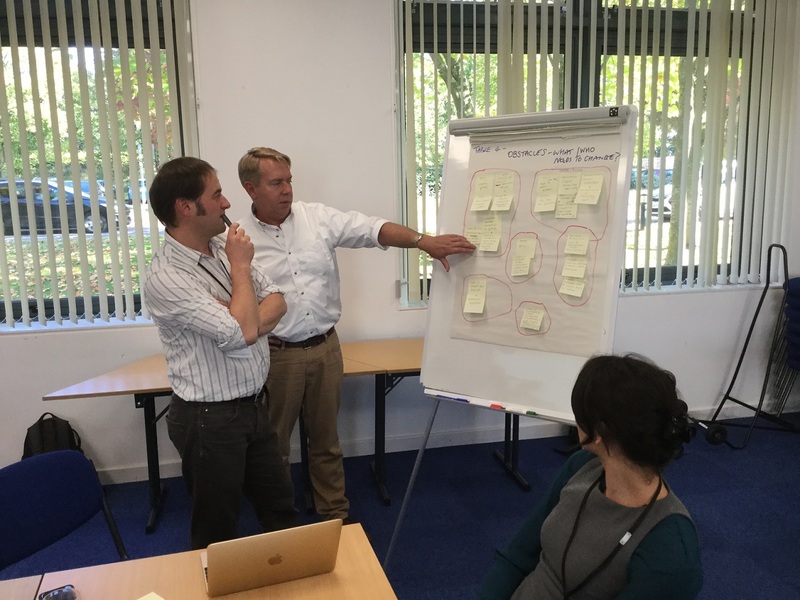 As the benefits of working in partnership seem generally accepted, outlining the obstacles that currently hinder successful implementation and how these can be addressed was seen as a useful step forward. Any recommendations should be accompanied by concrete examples of good practices in partnership working. Using different ‘languages’ when addressing different audiences will be useful. Businesses are just starting to engage with natural capital. Including a business case explaining why incorporating natural capital into management decisions can help to improve performance or saving money will help foster this engagements. The next step for NCI will be to summarise the findings of this Dialogue and draw out recommendations on how improving integration of natural capital across boundaries will lead to better decision making. About the author: Daija Angeli is Project Officer for the Natural Capital Initiative.